From Shibuya Station West Exit, cross the footbridge over Tamagawa Dori (Route 246). 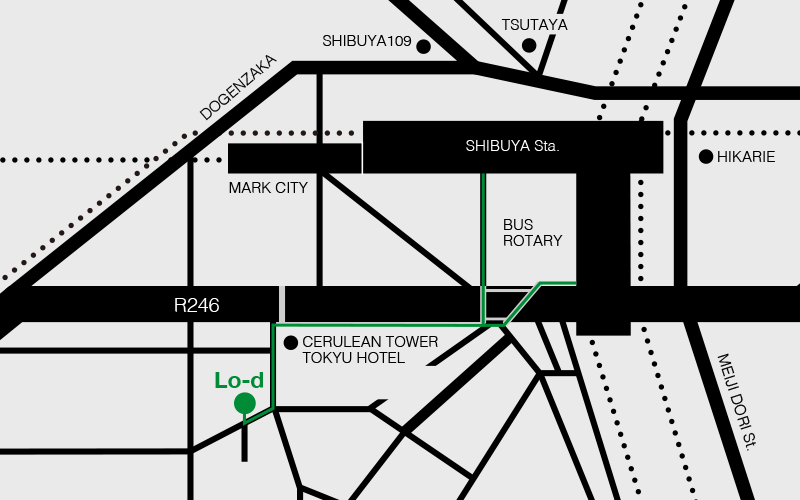 Walk along Route 246 and turn left at the first corner after Cerulean Tower. Walk about 100m till you reach a junction with a brick-colored building, where you turn left. The restaurant is on the 1st floor of the glass-walled building.